This beautiful about 85.00 square meters apartment is located in a pristine, quiet Eifel village, in a central starting point for almost all the major attractions of the Eifel. (U. A. Ahr valley 1 km, Nürburgring 13 km, Adenau 15 km, Blankenheim 15 km, 25 km Eifelmaare more. ) The village itself is located on a mountain. From the apartment you have a wonderful view to the Hohe Acht. Enjoy the tranquility and beautiful views from your own garden. The apartment is fully furnished and can accommodate up to 5 people + 1 infant. Garden furniture and barbecue are naturally also provided. The apartment has a separate entrance. Nürburgring: The nearby Nürburgring offers racing events, numerous day attractions and restaurants. An experience for young and old throughout the day. Ahr Valley: The adjacent Ahr Valley with stunning vineyards and idyllic places, offers a variety of bike trails, hiking trails, castles and various other recreational opportunities. Enjoy the peace and quiet of one of the many wineries with a glass of wine and a hearty meal. For your children a great summer toboggan run is offered. Vulkaneifel: The volcanic lakes offer much more in your unique nature, bathing, water sports, castle tours, hiking trails. Goed ingerichte en ruime woning. Zeer vriendelijke ontvangst. 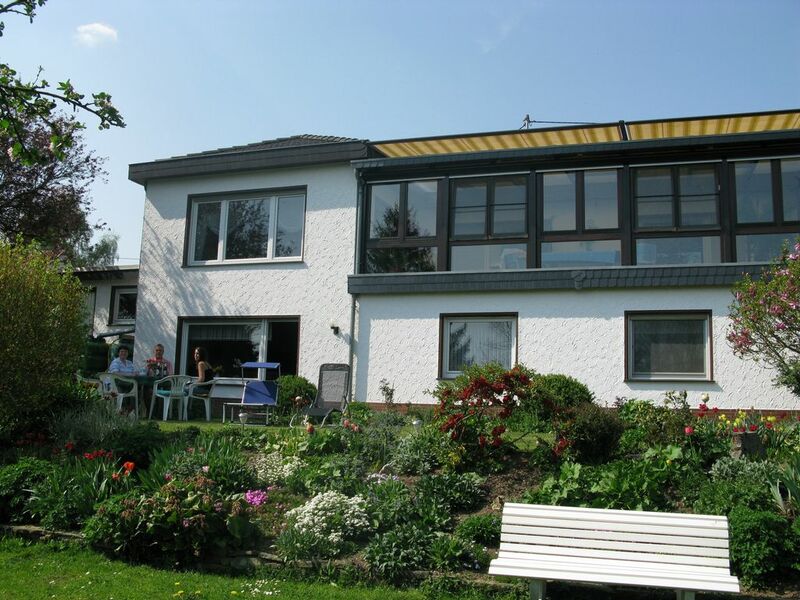 prima vakantie woning. ouderwets gezellig. prima vakantiewoning en erg gastvrije mensen. we hebben genoten van onze vakantie. The apartment is a nice view on the outskirts of Dorsel. The place is on a hill, nestled in the beautiful Eifel forests. In about 1 km away, the Ahr flows with its beautiful hiking / biking trails and. Two of the highest mountains of the Eifel lie in close proximity to the site. The Hohe Acht with about 750 m and the Aremberg with approximately 630 m.
The town boasts a central starting point for almost all the main attractions of the Eifel. (U. A. Ahr Valley 1 km, Nürburgring 13 km, Adenau 15 km, Blankenheim 15 km, Bad Münstereifel 25 km, Eifelmaare 25 km, Phantasialand 40 km ....) A variety of zoos, castles, and lakes are also within a radius of max. 20 km away. The very nice Freilingen lake in about 5 km away perfect for a day of swimming.